What appears to be the outline of a child in a fetal position can be seen in a photograph of the trunk liner from the car driven by Casey Anthony, a Florida woman charged with killing her 2-year-old daughter, according to documents released in the case. "A very interesting photo exists of the trunk liner ... which highlights the very large stain," FBI Intelligence Analyst Karen Cowan writes to a colleague in a September 2008 e-mail contained among nearly 1,000 pages of documents released Tuesday. "If you look closely at this photo, there appears to be the outline or silhouette of a child in the fetal position. You can make out what may be the back, bottom and legs most clearly." An FBI supervisory photographic technologist replied in a later e-mail, "We do not report conclusions about what may or may not have left any marks or impressions in cases like this - it is too speculative. Others can draw their own conclusions about that." A small group of people gathered Tuesday to remember Caylee Anthony, whose remains were found in December, on the anniversary of the 2-year-old's disappearance. At a park in Orlando, Florida, members of a Facebook group formed in Caylee's memory asked Richard Grund to lead the gathering. Grund's son, Jessie, was engaged at one time to the girl's mother, Casey Anthony, who has been charged with Caylee's murder. Grund told about 30 people gathered under the park pavilion near the children's playground that he believed it was important to remember Caylee in a park and not at the location where her remains were found. Grund said it was important to hold "a memorial to remember Caylee to mark this day to remember her as a little girl, to remember her joy and laughter." 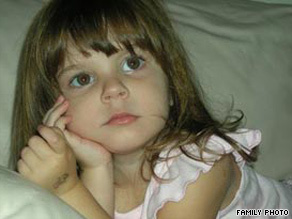 Caylee Anthony's story played out daily on cable news talk shows and Orlando's local media for the past year. Grund told the small group the focus needs to be taken off the legal issues and put back on Caylee. ORANGE COUNTY, Fla. - A judge will consider a motion Tuesday to dismiss the Zenaida Gonzalez slander case against Casey Anthony. Casey originally told detectives she thought a babysitter named Zenaida Gonzalez kidnapped Caylee. A woman with the same name is suing Casey for slander in civil court. Detectives haven't been able to prove Caylee ever had a babysitter named Zenaida. Also in the case against Casey, Orange County deputy Richard Cain will try to get his job back Tuesday. On babyboomeradvisorsclub Trish says "My heart goes out to the Anthonys. I have a child and I would do the same thing." Kim @ the humbleopinion weblog is thoroughly debating the Anthony case...Kim writes"No one recieves salary from the foundation. ( But isn’t it NICE that by law, since you have your “foundation’ in your home, it pays the utilities, mortgage, ins, and ALL related expenses." momoftwo says "I am so tired of the Anthonys putting the blame on everyone except where it belongs." ChrissyBK's Blog starts with "I am amazed by the power this woman has over her weak husband. It is so obvious to me that George is holding back so much to please Cindy. This is just ridiculous." CitizenKim is somewhat critical of the host. Hey, Larry's always a gentleman. He can ask tough questions without getting in a yelling match. It's a lost art these days, and it's what makes him The King. But CitizenKim's blog does provide a great narrative of the show, and the criticism's okay too! We'll update this thread with more of what you are saying on your blogs. We read your posts, your blogs, your compliments, and your insults. If it's good, you might just see your web commentary linked here on The LKL Blog! Casey Anthony: What did you think of the George-Cindy interview on CNN? Larry King was astonished by the number of messages from the public. He showed the stack before questioning George and Cindy Anthony tonight on CNN. The parents of Casey Anthony said they're still surprised that granddaughter Caylee's body was found. And they can't believe daughter Casey is responsible for the child's murder. King questioned George and Cindy forcefully, although he kept stumbling over all those names that start with C. There wasn't a lot new in the interview, which took up the hour. They talked about their foundation at the hour's end, which no doubt infuriated many viewers. How did you think the interview went? King asked why is the public taking its anger out on George and Cindy. "They don't understand," Cindy said. "They don't understand unconditional love." "You could see Larry King's frustration at times"
"They seem to have lost their spin. They are still defensive of Casey, but more subdued"
"...this was just another stunt to solicite donations"
"larry should have narrowed in on george more"
"Did you see Cindy head *SNAP* in George's direction when he started to answer a question honestly?" And of course there are plenty of people who didn't watch, but wanted to add their comments about how poor the interview was. It's always fun to read those posts...if you don't watch or read the transcript, how can you truly have a grasp on what it was like? It's like always complaining about politics and never registering to vote. Many people are utilizing the video sharing website YouTube to convey to the world their theories on what happened in the Caylee Anthony murder case. Here's one example that's been floating around for a while. Do you agree or disagree with him? But the media performance of George and Cindy, Caylee’s grandparents and Casey’s parents, sustains the public’s interest, too. George and Cindy have done just about everything wrong in public-relations terms, says Ron Sachs. His Ron Sachs Communications in Tallahassee deals in crisis management. "It's as bad as it could get," Sachs says of the way the grandparents have conducted themselves. "It's a runway train off the tracks, and that usually has one outcome: disaster." "There's a stunning lack of discipline in how the story is told," Sachs says. "When crimes are alleged, long before you get to a court of law, you're being tried in the court of public opinion. If you don't speak, it's almost an admission of guilt. If you speak and perform poorly, it's worse than an admission of guilt." ...The woman, identified as Teri Narsesian, 44, said Anthony was screaming and thrashing in the bed. At one point, Thomas said Anthony looked at her through tears and asked her for help. Narsesian was in jail for three weeks in April on charges of violating her probation for a bed check charge. Note – George and Cindy Anthony will be on Larry King Live Wednesday, 9pm. Many of you have shared your thoughts about George, Cindy, Casey and Caylee. Here, they respond to criticism both on this blog & elsewhere, with an LKL Web Exclusive Commentary. "A message to everyone that wants to see something good come from a tragedy. The last 9 months have been a living hell for my family and no one could possibly understand. There is no reason for any of this and there are no answers that will ever make things better. How does one deal with things they do not understand? Everyone deals with their emotions differently. Some keep things bottled up, others get angry and look only for the negative. With a good support system, anyone can deal with these emotions and turn them into a positive outcome. This is what our family is trying to do by creating Caylee Marie's foundation. Doing so will give us a focus off the negative and allow us to heal by helping others. We know that the months ahead will be difficult; however, we are willing to move ahead and turn the tragic loss of our Caylee into a living tribute to her very existence. You see the love in our family is strong, and no matter what will be placed in our path, our love for her will be the driving force. Some want us to do things differently, to those who disagree with what we do, all I can say to them is that this is our way to cope. This is our way to grieve, and our way to honor our Caylee Marie." Note: George and Cindy Anthony will be on LKL Wednesday. I know many of you have strong feelings about their appearance and we welcome your comments! ORLANDO - Casey Anthony's parents, George and Cindy Anthony, will be getting more national television attention. They've announced an appearance next week on CNN's "Larry King Live." 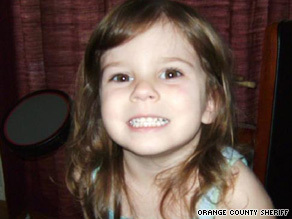 The pair was last on King's show back in December – one day before Caylee's remains were found. A big question remains in the case, like who will represent Casey in the death penalty case for the Orange County mother lodged in the Orange County Jail for killing her daughter. Lead attorney Jose Baez is not qualified to take a death penalty case to trial because he has less than five years experience as a trial lawyer. Prosecutors filed a request for that information. Baez says he will supply it at the next hearing. In a related case, an administrative hearing has been set for Deputy Richard Cain on May 19. The sheriff's department is examining how Cain handled a call from Roy Kronk when Kronk notified authorities of his suspicions about the area where Caylee Anthony's body was discovered.